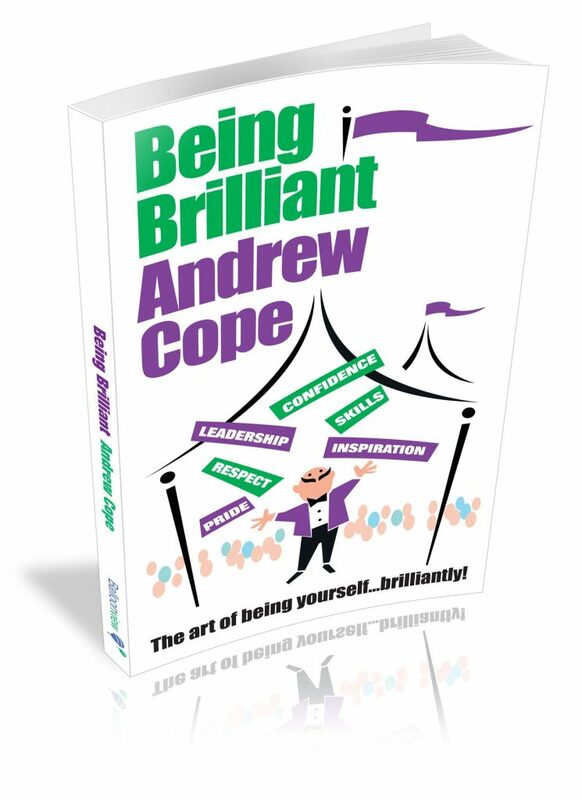 Being Brilliant - The art of being yourself ... brilliantly! An innovative, inspiring and brilliant book from a hugely respected master of happiness, confidence and all things positive. Being Brilliant will help you to be a brilliant version of yourself every single day. Be warned though! Not everyone finds being brilliant easy! If you want a 'normal' leadership development book please give this one a wide berth. If you've selected this book in the hope of finding a simple and cheery step-by-step guide to management improvement, I'm afraid you've picked up the wrong book altogether. I fear this book may upset you. It's a story about the stresses of modern life and all the things that can go wrong with work, family, relationships and customers. It's about working too hard and surviving each day in the hope that tomorrow may be better. It's terribly sad, especially when you find out it's about you. If you haven't got the stomach for a story that's about exhaustion, pressure, bad luck, regret, complacency, disillusionment and misery quickly return it to the shelf. Nobody will think badly of you. Look around you, nobody will even notice if you put it back right now. Thinking about it, you may of course already be brilliant. You probably don't work long hours or have work pressures and a demanding home life. I bet you're not permanently exhausted. You are probably the perfect manager, leader and parent. You may be an inspirational person who can't improve any further, in which case what on earth could you learn anyway? Whatever you decide, I know it will be the right choice.